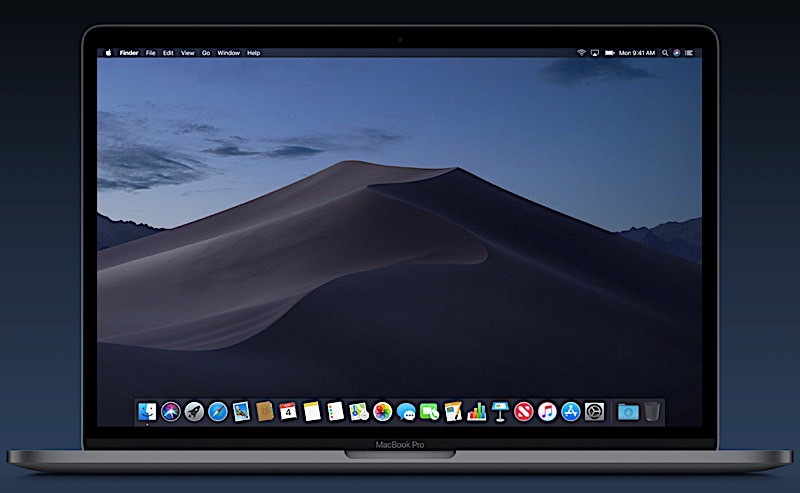 macOS Mojave was released Monday, September 24th and it is amazing. I have been waiting for a very long time for a "dark mode" because I must admit, my eyes need relief since I spend many hours a day on the computer working and gaming. Apple has been encouraging developers to develop 64-bit software since 2017 and it possible that Apple will prohibit 32-bit software from running on macOS as soon as 2019. Starting with High Sierra version 10.13.4, users will be alerted to update said software to a 64-bit version in preparation for compatibility with future macOS. So, if you have a 32-bit version of your favorite software, you might want to consider contacting the software developer and asking if and when they will be providing an update. You can find contact information for your app (when opened) by going to the Menu Bar and clicking on the application name and then "About". In the meantime, you will be able to use your applications but will receive the following alert every 30 days when you open the app. How do I find out what applications are 32-bit or 64-bit on my Mac? Go to the Apple Menu and select "About this Mac". Click the "System Report" button. From the "System Report" scroll down to "Software" in the left sidebard and then select "Applications". The right pane is split horizontally into two panes. You can scroll through your applications in the top pane. The bottom pane will contain several fields of information. If the field, "64-bit (Intel)" says "no", the software is a 32-bit version; if "yes, the software is a 64-bit version." If you have already upgraded to Mojave, scroll down to "Legacy Software" in the left sidebar to see all apps which have not been updated to 64-bit processes. [Update January 25, 2018] Apple's High Sierra OS 10.13.3 update seems to have solved this problem for many users, myself included. So if you have not updated, I recommend doing so.After updating to MacOS High Sierra 10.13.2 (from 10.13.1), I found that I could not connect to my NAS unit or other Windows computers on the network without Finder crashing and the inability to relaunch without rebooting my Mac. Thus far, there is no official fix or definitive answer from Apple for this problem or OS update, leaving many users looking for methods to connect to their NAS and/or Windows servers.What I have done to circumvent this issue is to set up my NAS (Samba via Linux) unit to use SMB2 and Windows to use SMB1 (since Windows seems to view SMB2 protocol the same as SMB3). I have used these settings for 4 days as of this post and have not had a Finder crash to date. After updating to MacOS High Sierra 10.13.2 (from 10.13.1), I found that I could not connect to my NAS unit or other Windows computers on the network without Finder crashing and the inability to relaunch without rebooting my Mac. Thus far, there is no official fix or definitive answer from Apple for this problem or OS update, leaving many users looking for methods to connect to their NAS and/or Windows servers. What I have done to circumvent this issue is to set up my NAS (Samba via Linux) unit to use SMB2 and Windows to use SMB1 (since Windows seems to view SMB2 protocol the same as SMB3). I have used these settings for 4 days as of this post and have not had a Finder crash to date. For detailed listing of samba connections including the protocol in use, type this into your terminal on the Mac: smbutil statshares -a (make sure you are connected to your NAS or Windows server before typing in this command). In order to make changes to Windows, you will need to use Regedit to go to \HKEY_LOCAL_MACHINE\SYSTEM \CurrentControlSet\Services\LanmanServer \Parameters and add 3 DWORD entries: SMB1 (value data “1”), SMB2 (value data “0”) and SMB3 (value data “0”). I had to make these three entries in order for Windows to acknowledge SMB1 protocol. A new Workout option allowing you to invite and compete with friends in a 7-day fitness competion, earning points for closing Activity Rings, while receiving coaching notifications to help stay engaged. After changing the SMB protocol on your Windows and/or NAS units, be sure to remove the old server connections in Finder on your Mac and enter them again. Yes, I know, you are still using SMB, but for some reason, I had to reenter them as new server connections to see results. Once you are back into Windows, open the Mac terminal (after connecting to your Windows server via Finder) to verify the SM1 connection via smbutil statshares -a. You should see the SMB changes as follows.